Pennsylvania started out with a highly effective solar package back in 2010 with a sizable $100 budget, although this is now all but exhausted, it did help the state establish a solid foundation in renewable energy market. Although incentives might not be as strong as before, openings are still available on a wait-listed program. The average payback time for a standard-sized solar energy package (5kW) is about 11 years. Pennsylvania energy rates are quite low at $0.13/kWh. If you installed a 5kW system you would save approx. $768 per year on your electricity bill ($64/month). The state of Pennsylvania has effectively shut the door on new applicants to their solar rebate program, which might well be due to the previous success of the Pennsylvania Sunshine Program. 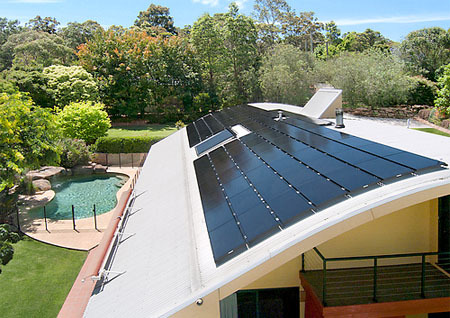 When the Sunshine program started in 2010 a household might expect an incentive of $2000 per kW installed, up to a maximum of 35% of the total costs, which today, is now reduced to $750 per kW installed. The Sunshine program was performance related, so as each of the pre-determined targets was met, the state reduced the level of incentives, so those that entered the program first where able to benefit much more then today’s entries. State rebates are now first-come first served on a waiting list basis; slots will open as customers either fail to install a qualifying solar system or drop out of the program. Pennsylvania is one state that lacks tax incentives for those installing solar energy systems, although this might have been partly due to the exceptional incentives offered through the Pennsylvania Sunshine program. Now with the rebate program restricted to a waiting list system, it might well benefit the latest Pennsylvanians to sign-up to benefit from this incentive. In the state of Pennsylvania the Renewal Portfolio Standard (RPS) is categorized into two groups – the first tier representing 8% of the states total mandate of 18% which must come from renewable resources, requires that the power comes from a varied choice of environmentally-friendly energy sources, such a solar, low-impact hydro, wind, and some other lesser known processes. The state mandates a minimum of 0.5% of solar energy. In the second-tier, which represents the last 10% of the states energy production, the energy can actually be fulfilled by power sources that aren’t so eco-friendly, which isn’t such a good thing. Here power can be generated from sizable hydro power systems, which have the potential to decimate the neighboring eco-system. Pennsylvania mandates by law that the utilities (investor-owned) offer a net-metering service to local residents, up to a 50kW capacity, which means that for any surplus energy generated, you will receive a credit on account for use against a future bill. If you continue to run surplus for a full 12-month period, the utility company will write a year-end check to refund the excess amount, although this amount will exclude the distribution component charges that appear on a bill.